You want to get information about technology news regularly? 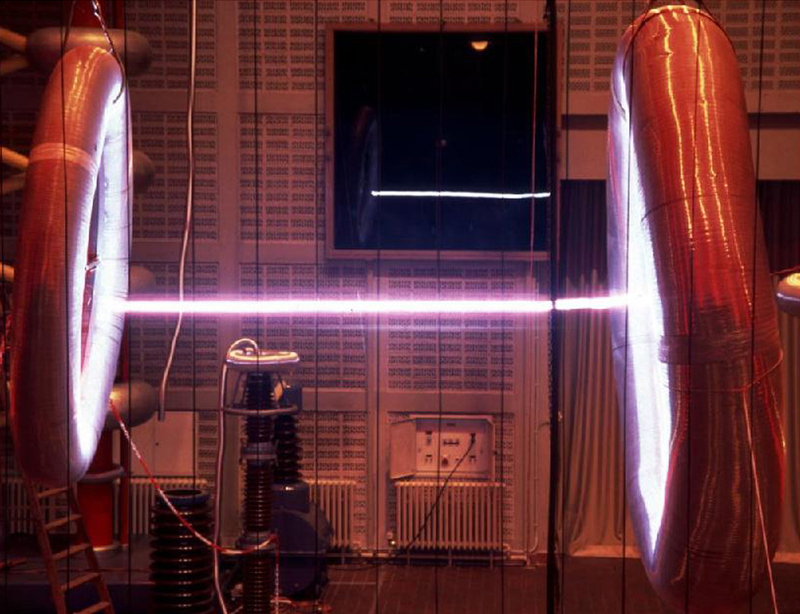 Physicists working on a joint German-French project have developed a mobile terawatt laser. The main priority of the scientists is to utilize this high-tech piece of equipment to inspect the chemical composition of the earth's atmosphere; furthermore, it can be utilized for environmental protection purposes and can be developed further into a mobile lightning arrester. The instrument achieves an output of six billion kilowatts (6 terawatts) at a pulse length of 50 femtoseconds. It is installed in a conventional Eurocontainer and can thus be moved as required from one location to another by low loader HGV. In the atmosphere inspection, the scientists take advantage of an optical effect which was only discovered a few years ago: when a billion watt, ultra-short pulsed laser beam is shot kilometres high into the sky, the refractive index of the air alters both spatially and temporally within only a short distance as a result of the immense electromagnetic effect. An artificial lens is virtually created, as well as filaments, concentrated collimated white light, created from the laser beam which was originally bright red with 800 nm wavelength. If this scattered light of the "white laser" is picked up out of the earth's atmosphere by a telescope, the results from the spectral analyses offer precise information about the chemical composition and even about the trace impurities in the air. This type of instrument is able to determine industrial waste gas and its chemical composition and concentration even at a height of fifteen kilometres. The main priority is not to find environmental polluters guilty, but to facilitate more fundamental research into the chemistry of the earth's atmosphere. In the same way, smog analysis in conurbations is envisaged, as well as more detailed research into greenhouse gases. In comparison to other laser-supported procedures, the laser is capable of tracking down a multitude of molecules at the same time with one single laser beam. Parallel to this work, the research group have set themselves a second goal: the mobile, high-tech laser is probably suitable for use as a lightning arrester. In laboratory trials in 1998, physicists first proved that filaments with considerably increased electrical conductivity form within the kilometre-long laser beam. This means that if this type of high intensive laser beam is directed into a storm cloud, the lightning will in all probability strike there and then travel along the beam to earth in a controlled manner. The laser lightning arrester would be too expensive for individual homes, but for the protection of electronic high-tech appliances at airports it would be worthwhile , for example.